I was stunned a month or so ago, when the Dean of the College of Arts and Sciences of Webster University, David Wilson, called to say I had been selected as this year’s recipient of the Outstanding Alumna Award. I certainly didn’t feel worthy to accept it but how do you say “no” to such a generous offer? So I said “yes.” Then Dean Wilson said I would be delivering the commencement address – not to the whole university, but to the College of Arts and Sciences graduates in a separate ceremony where they receive their diplomas. Not only would I be receiving this great recognition …. but the ceremony is held at the Muny in Forest Park! Some of the happiest moments of my childhood were spent at the 11,000 seat open-air amphitheater where musicals have been staged for the last 96 summers. I saw so many stars sing and dance across the mammoth stage and even remember lying with my head on my mother’s lap and looking up at the stars when I was very young. My mother remembered her favorite stars from childhood performing there: Irene Dunne and Archie Leach (later to become Cary Grant). Sitting onstage at the Muny with the faculty of Webster University? YES-YES-YES! 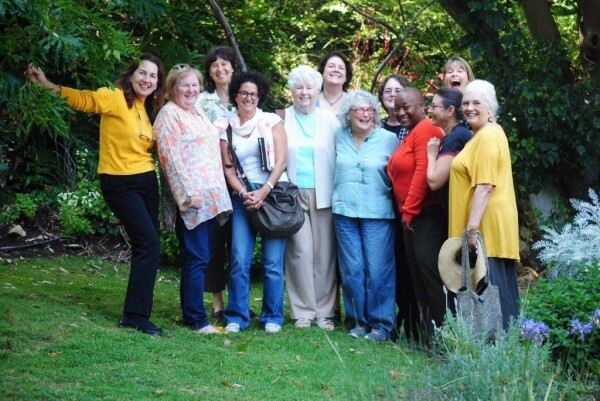 It was Webster College when I was there, transitioning from a girls’ college to co-ed and immediately transitioning from a Catholic college run by the Sisters of Loretto to a lay school – that all happened when I was there. At the time, Webster was well known locally for its theatre arts program and generally for its fine arts. I started out in theatre but switched to a straight English major. 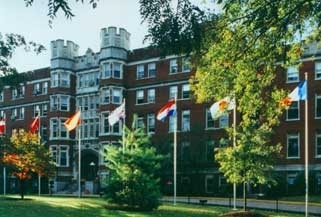 I was editor of the paper, worked on the yearbook and was a happy Webster student. I even loved my student job, working for the new Master of Arts in Teaching degree. 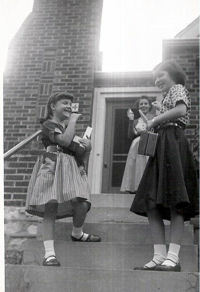 Then, Webster was a standout for its personal attention to students. Amazingly, that hasn’t changed with growth. 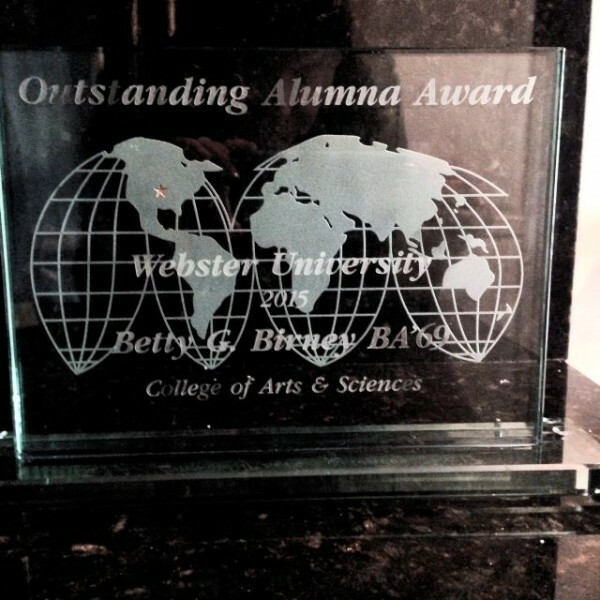 I’m now on the Advisory Board of the College of Arts and Sciences and am thrilled to discover that the same attributes that made Webster special when I was there haven’t changed. 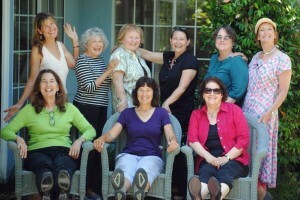 There was a great party the night before – a dinner at the Khorassan Room of the Chase Park-Plaza where we stayed. Hey, I had my proms at the Khorassan Room – deja vu! A group of us had drinks afterwards and then my son arrived. 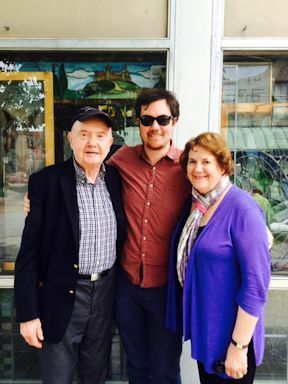 That was truly the best part of all – my son, Walshe, who lives in New York (so far from our home in Los Angeles that we don’t get to see him often) flew in for the event, which also happened to coincide with Mother’s Day! And we got to celebrate his recent engagement. Here he is with husband Frank and me. Walshe hadn’t been to St. Louis in many years, so we all visited with cousins, aunts, my sister Janet, brother-in-law Steve, niece, Jen and her husband Jeff, her daughters, Samantha and Carter and nephew Todd. What fun! My speech was delivered on the rehearsal stage in the pouring rain. Luckily, it didn’t rain until the very end of the larger ceremony, but it poured for the second part. 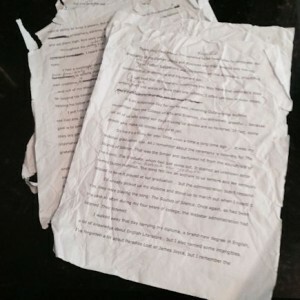 The speech, my clothes, my hair were soaked. My shoes were ruined. The Dean’s introductory notes were in ink and they ran into a blur. My pages got stuck together and I had to stop to pry them apart. Everyone was more than polite, I talked fast and every graduate got a signed copy of The World According to Humphrey! Left, I’m delivering the speech and a kind gentleman is holding an umbrella over my head. You know what? I enjoyed it all! Above … yes I’m on stage at the Muny – can’t you see me? Actually, I was on the end of the inner aisle, row 2, so pretty much right behind the podium. Some of my cousins watched the live feed and they could actually see me! Luckily, it wasn’t raining as the ceremony began. Pomp and Circumstance played as the students processed in while the faculty – and I – lined up. Then came the parade of flags representing every country with students graduating – carrying the colorful banners down the aisles of the Muny. Next, the bagpipers arrived, led with panache by Dean of the College of Fine Arts, Peter Sargent, who was there when I was in school. Finally, the faculty (and I) processed down the center of the Muny from the very top down to the stage. It’s very steep – don’t wear heels! (I didn’t). At this point, I relaxed and decided to enjoy every minute of the day, soak it all in (pun intended) because it was a once in a lifetime experience. I walked down to the stage with a big smile on my face, despite the threat of an oncoming storm. Here’s a clip of how it looked from the stage. It was the best graduation I’ve ever attended – formal yet personal, reflective and exuberant. 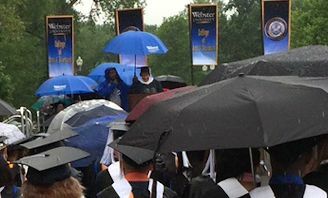 The rain held off and honorary doctorate recipient, actress Jenifer Lewis, delivered the best commencement speech ever. Funny, sad, hopeful, musical, honest and most of all inspiring. She rocked it. If you want a few minutes of inspiration, skip through the intros and watch her speech. Because the weather forecasts were so dire, the College of Arts and Sciences videotaped me delivering my speech the day before graduation. It’s much tamer than the version I delivered in the rain and it was kind of odd to speak without an audience, but here it is, including the introduction by Dean David Carl Wilson. At least you can see me in cap and gown – though they thankfully reshot and edited the part where the tassel swung into my mouth. If only I had the out-takes! Humphrey’s popping up all over L.A. I just can’t keep him in his cage. It must be that lock-that-doesn’t-lock. Last week, I was at St. Felicitas School in San Marino for a fun morning talking about Humphrey. 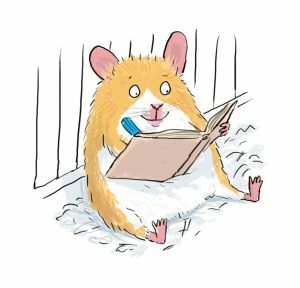 Humphrey showed up Sunday on the Kids’ Page of the L.A. Times in a terrific review by a fan … with a GREAT-GREAT-GREAT illustration! He’ll be on display in Redondo Beach Friday night, October 20, as the SCIBA (Southern California Independent Booksellers’ Award) nominees are on hand for a Meet and Greet at a brand new bookstore, Mysterious Galleria. Address is: 2810 Artesia Blvd., Redondo Beach, CA 6:30-8:30. Summer According to Humphrey is a nominee. And on Saturday night, the SCIBA banquet will be held in Long Beach, CA. 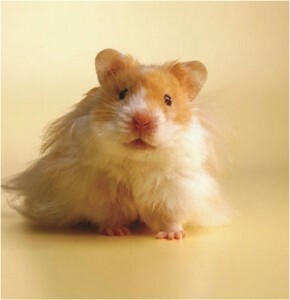 Pretty tough competition (sweeping sagas, dystopian novels) for a little hamster but I’ll be there in Humphrey’s name. Meanwhile … there are new books in the UK to talk about and another new book in the works. You just can’t keep a good hamster down! 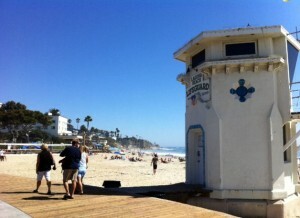 Last week, I headed down to Laguna for a speaking engagement and ended up on the beach! Thus is life in L.A. Unfortunately I also ended up smack in the middle of the blackout with no traffic lights working and major traffic jams. But I was with my Aunt Katie and that made it so much better. The traffic just gave us more time to catch up. Anderson’s Bookshop, Downers’ Grove, Friday, September 16 at 7 PM! I’m very excited about visiting this fabulous indy bookstore. 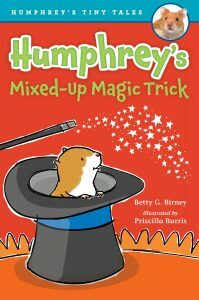 Illinois readers have been big fans of Humphrey and The World According to Humphrey is currently on the state’s Bluestem Award list. So y’all come! I actually lived in Chicago for seven months too many years ago to mention. A fun, fun city. 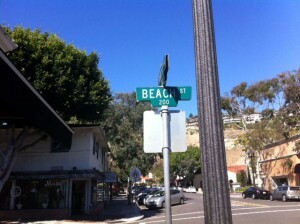 It has a beach, too.